If you can kick a ball, you can play Foot Golf! 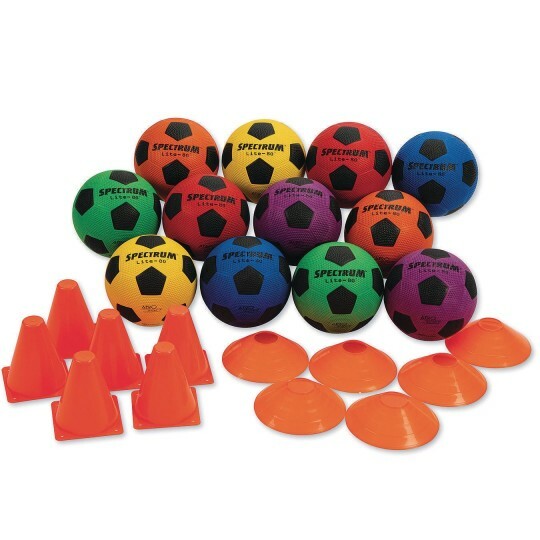 All you need is a grass field and some balls to play. 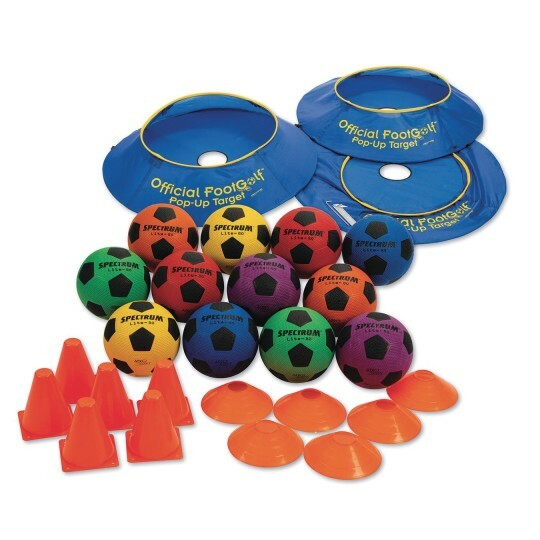 Suitable for 12 players ages 10 and up. 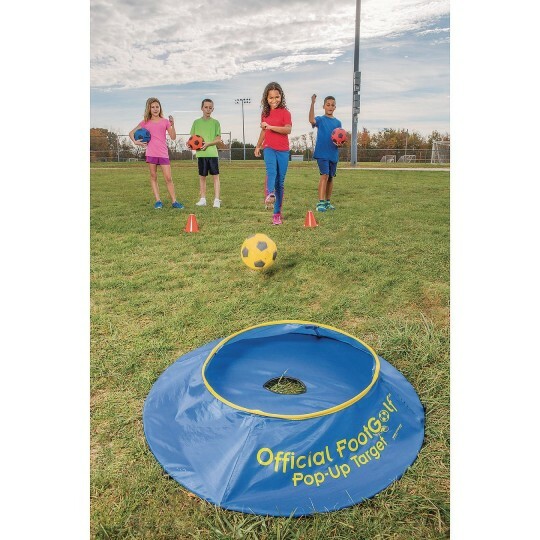 If you've ever kicked a ball, you're ready to play Foot Golf! This exciting new sport combines the kicking skills of soccer with the score keeping and play of golf! All you need is a grass field and some balls to play a game of Foot Golf! The targets measure 36"-diameter overall and have a raised 22" center cup. The sides of the cup collapse down when a ball is rolled toward the center of the cup and pops back up to capture the ball. 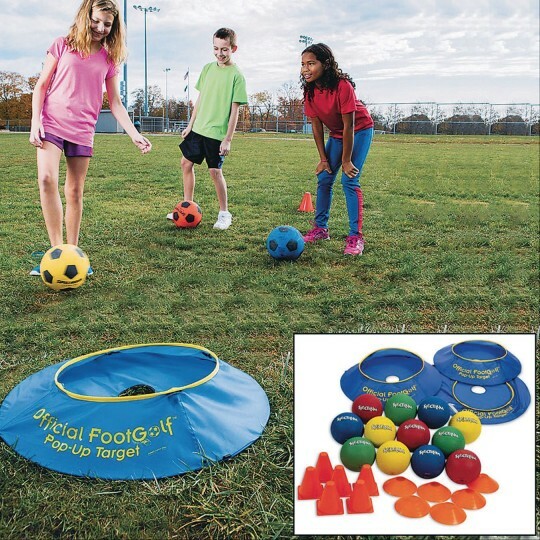 The Pro Easy Pack suitable for ages 10 and includes 3 -36" diameter pop-up targets or holes, 12 - Light 80 size 4 Rubber Soccer Balls, 6 cones to use as tee markers and 6 half cones to use to create dog legs. 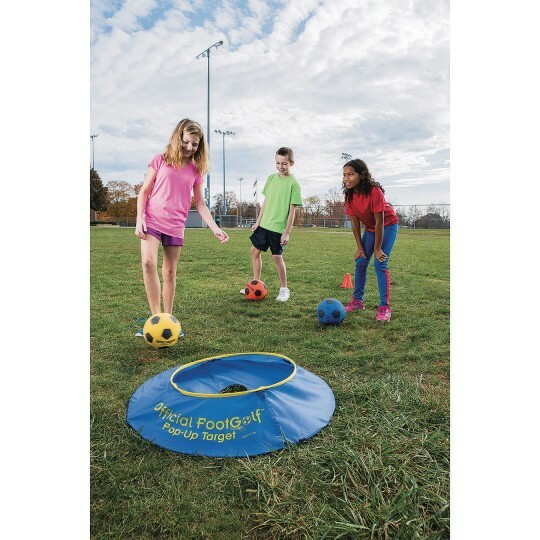 Just add a grassy field and your ready to play!